How do you like those cube needles? Are they hard on the fingers after a long knitting session? I love the Cubics. I have the wooden ones also from Knitters Pride. They are actually very comfortable and easier on the hands and wrists than regular needles. So many fabulous stitches - I love your blog! 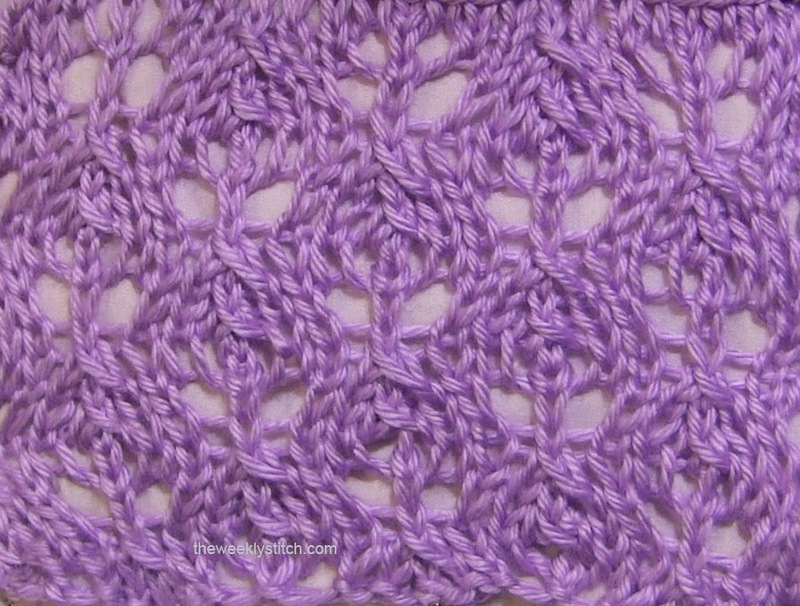 I was wondering if you had either written a pattern OR knew of a pattern using the Rosary Stitch? I found (because I forgot where I left off, oops!) that if you alternate rows 1 and 2 you get a pretty pattern as well. I'm sure it probably has a name but thought I'd share! Reminds me of a fishtail braid. I absolutely love this pattern. Last winter I used it and another to make a 7 foot wrap/shawl/scarf in a turquoise. I also combined the turquoise with an ice blue eyelash yarn and made a twisted fringe for each end. Turned out gorgeous and I received tons of compliments. 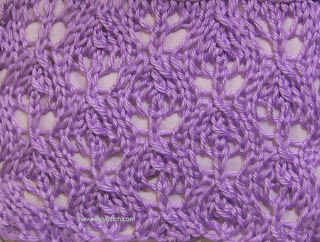 I created and just finished a lapghan/wrap project using this stitch with a garter stitch border all around, in a mauve, super soft, baby yarn. It will be perfect to snuggle up in this winter.